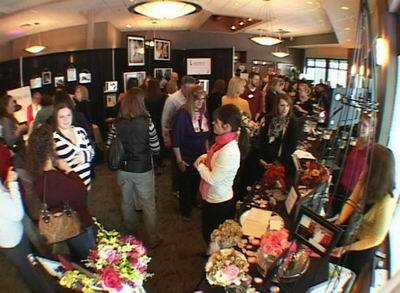 Here are some scenes from the Perfect Wedding Guide Bridal Show at the Montage on Allison Pointe in February. Lots of great vendors, lots of brides, and a job well done by Ryan Hendrickson and his PWG staff. I was only at Charles & Oksana’s wedding at their new home for a few hours, but in that time, I was blessed to witness a lot of love, tradition, and good times shared with those closest to them. Oksana’s Ukrainian heritage was woven into the festivities, from the beautifully embroidered rushnyk that they stood on during the ceremony to the korovai bread that they shared and later tore apart during the dinner, which was served by Great Cooks and Company. Their guests came from all over the world, and the best man hilariously used this blending of cultures as an excuse for the guests to toast (and drink to) the couple in many different languages. “Dyakuju” to Kiralee of EyeMAX Makeup and photographer Angela Talley for the referral! On the night before Halloween, Alicia and Robert treated their guests to a spectacular wedding and reception at the Indiana Roof Ballroom, complete with masks, pumpkins, and spirit to spare. Kiralee of EyeMAX Makeup and photographer Jessica Strickland made sure Alicia looked fabulous for some fun photos outside the Roof with Robert, while the Weekenders team of Circle City Planners made sure the day ran smoothly and the ballroom looked amazing, with some gorgeous florals added by Add Love Flowers. Cousin of the bride and IndyVisual friend (and former groom) DJ Gene Ott set the tone for the reception with some hilarious introductions, and Zanna-Doo rocked the Roof like they always do, with this super-fun couple inevitably joining them onstage. Big thanks to Jess and the Roof for the referral! 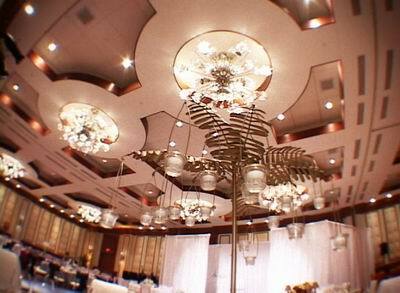 We were honored to be hand-picked to be part of a select group of vendors at the Perfect Wedding Guide‘s Platinum Gala at the Conrad Indianapolis. This event featured displays by Indy’s top wedding pros, eye-popping table design by Lee Johnson and David Strohmeyer, and stunning Vera Wang dresses. Thanks to Ryan Hendrickson and Amanda Coffey for including IndyVisual in this spectacular gala.